Because we are completely dedicated in your well being and the health of your eyes, we have invested in the newest cutting edge technology in retinal imaging that reduces the need to dilate your eyes. 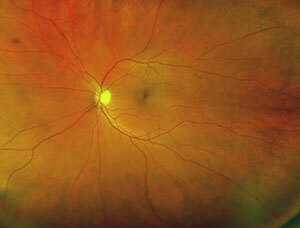 Optomap by Optos is an ultra-widefield imaging system that allows us to see the back of your eye called the retina. 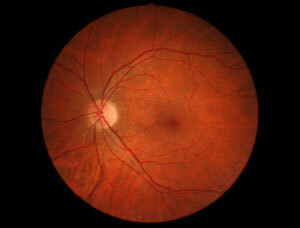 It provides us with a 200-degree view of the retina vs a 45-degree view with conventional photography. So together, we can view and study 80 % of your retina without the inconvenience of eye drops and intense lights. And of course, it helps with the diagnosis and evaluation of retinal tears, and detachments. Optomap is a great way to monitor your health, so we recommend that everyone get at least a baseline scan. We make recommend having the test done annually depending on your individual health status. For instance, diabetics should have this test done annually. As Optomap reduces the need for dilation, it does not totally eliminate the need to dilate. There still will be specific presentations where dilation is needed. If symptoms or test results reveal any suspicious findings, we will the need to dilate your eyes for further investigation. The test is completely painless and only takes seconds to perform. It is perfect for patients of all ages, even children, so the whole family can benefit from this new technology and feel secure in the knowledge that they are getting the most advanced and up-to-date care when having their eye exam at Skowron Eye Care. Talk to one of our doctors about this new and exciting technology at your next visit!